Absolutely satisfied, recommend these tires! These Michelin was in my new car and I had enjoy driving my car with them, Michelin is always quality and very high performance at all compartments. Recommend. 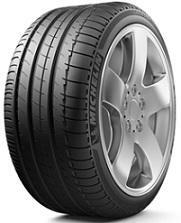 Great tires, awesome grip, very good car control (high speed, cornering) good tread wear resistance, recommend these! I got those tires couple years ago and they really are ultra high performance, now appeared a new generation MICHELIN LATITUDE SPORT 3 and i definitely will get them too.